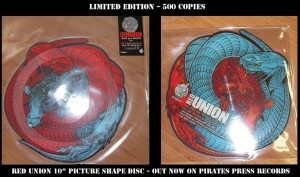 PIRATES PRESS RECORDS from USA just released this cool looking shaped picture 10″ vinyl record. Only 500 copies are pressed. For ordering info, click HERE .